Cylinder Size 3.5" x 24"
Tire Size 4.80" x 8"
The Split fire log splitter can handle the largest diameter logs with ease. wether you in Perrysburg, Maumee or Sylvania Ohio renting the splitfire log splitter will make you twice as productive. Include in the rental the lift table eases back strain and allows the renter to split logs that were near impossible previously. 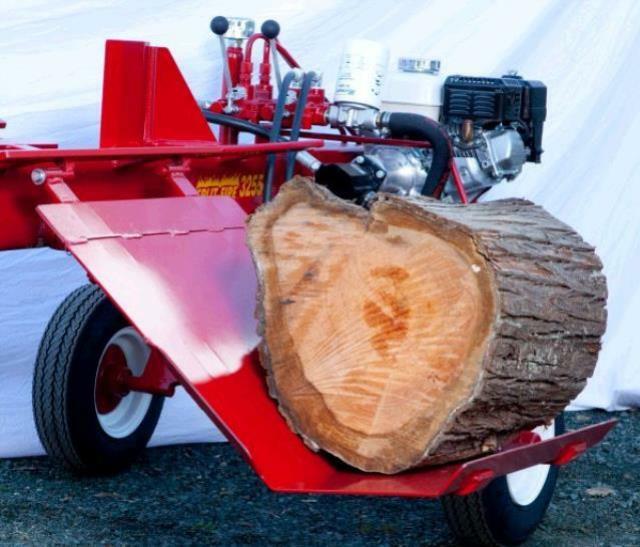 * Please call us for any questions on our log splitter w/ lift horz. splitfire rentals in Toledo OH and Perrysburg OH, serving the Toledo metro area.